The Auto Charger from GoPro allows you to charge your HD HERO camera(s) while on the go. 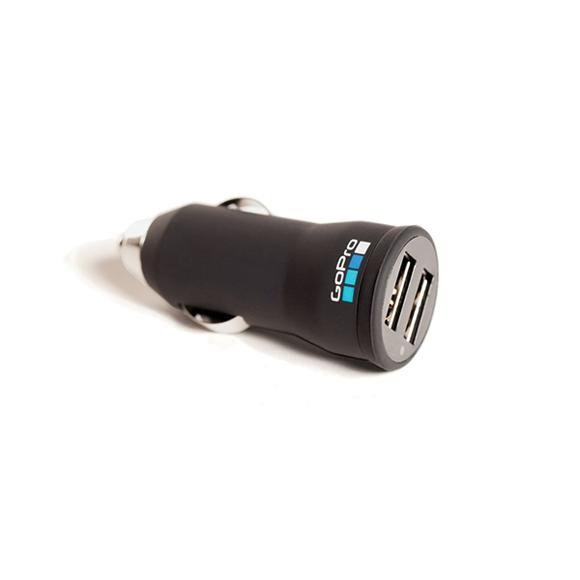 With dual USB ports you can quickly charge up to two cameras at once and the Auto Charger works with most devices that charge via USB (cell phones, etc. ).